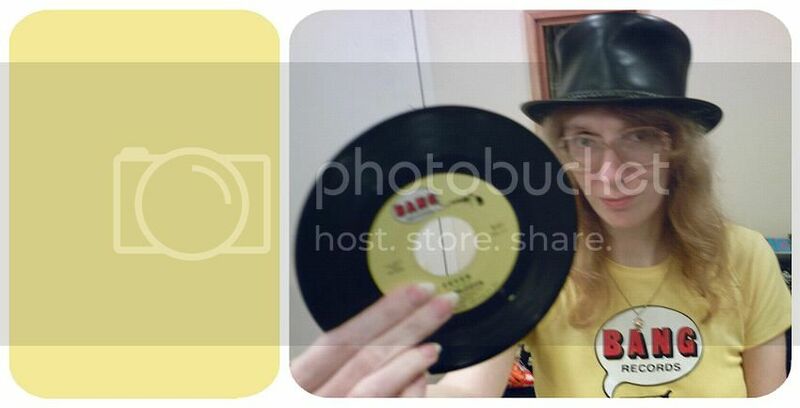 Note: This will be the start of my transferring material previously posted on Geocities to my blog. 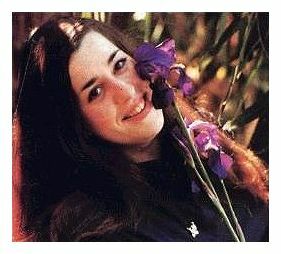 Cass Elliot was reportedly born September 19th, 1941 in Baltimore, Maryland. From The Big Three, through the Mugwumps, and The Mamas & the Papas, to her solo recordings and collaboration with Dave Mason; Cass presented one of the great voices in music and is still an inspiration as a singer and as a human being today. She would sing with unique artistry and style everything from the blues to a lullaby, from a classic tin-pan alley tune to a chart topping folk-pop, and in the end leave her many diverse fans wanting still more and wondering about what might have been. Born Ellen Naomi Cohen, one story has it that her restauranteer father gave her the nickname 'Cass' after the Trojan princess Cassandra, another story is that she simply chose it for herself feeling Naomi didn't suit her personality. The name Elliot was later adopted in memory of a friend who had died. Three years after younger sister Leah was born, the Cohen family moved in 1951 to Alexandria, Virginia. While going to school in Washington D.C., Cass found her way to the stage playing a part in the play 'The Boyfriend'. She loved performing, and after leaving school and moving to New York City she appeared in 'The Music Man', and was in competition with Barbra Streisand for the Miss Marmelstein part in 'I Can Get It for You Wholesale' in 1962. Sometimes she sang with a women's gospel-folk trio based in Chicago called The Ofays of Faith. While working as a hat-check girl at The Showplace in Greenwich Village, Cass would double as a singer. Word spread of her powerful voice, yet Cass returned to Washington D.C. to attend American University. Her musical career would not be ended so soon however; it was at this time that she met banjo player and singer Tim Rose, and Chicago singer John Brown, and the three began singing together as The Triumvirate. In Omaha, Nebraska, in 1963, the multi-talented James Hendricks joined them replacing Brown, and they were soon re-christened as The Big Three by producer Roy Silver. 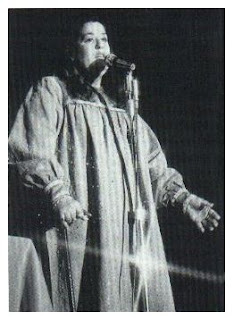 The earliest Cass Elliot recording was made with the Big Three; Winken' Blinken' And Nod on FM Records, which was released late in 1963. Cass was twenty three that fall. The music was folk, a style popular at the time and taken up and popularized by groups like The Kingston Trio, The Four Freshmen, and The Journeymen. Cass was quietly married to Big Three singer James Hendricks (shown in the photo above, with Tim Rose on banjo on the left) in order to safeguard him from the draft board. 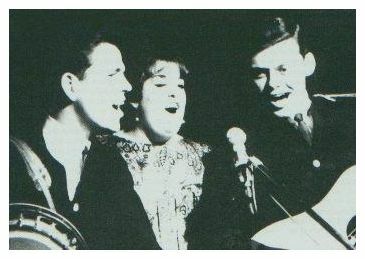 Another of the group's early hits, and among their better recordings is Nora's Dove which they also performed on television, appearing on The Danny Kaye Show and Talent Scouts. A self-titled Big Three album was also released near the end of 1963, followed by a second the following year on the Roulette Records label. Come Away Melinda, a tradional post-Civil War ballad on the album is lovingly performed, as is the coal-mining dirge Dark As a Dungeon. Perhaps the most powerful vocal performances of The Three can be heard on Silkie, Driver and You May Be Right. The Big Three often played at a club called The Shadows in Washington D.C., and this is where John Sebastian first met Cass. Tim Rose left the trio in 1964 to go it solo. With the end of The Big Three, Cass and Jim Hendricks joined with Zalman Yanovsky and Denny Doherty of the Halifax Three Plus One to form The Mugwumps (all four shown below). John Sebastian (previously recorded with The Even Dozen Jug Band and accompanying many Elektra label folk singers) would often sit in although reportedly producer Roy Silver refused to include him in the recording sessions. After only eight months, however, The Mugwumps group also dissolved leaving behind one Warner Brothers single and a handful of unreleased tracks. The Beatles had arrived and cute boy groups were in demand, so anything else was not an easy sell. The lone single released at the time by Warner Brothers was I'll Remember Tonight. Other recordings such as Here It Is Another Day (written by Hendricks and Cass), and You Can't Judge A Book By It's Cover would find release only after The Mamas And The Papas had repeatedly hit gold. 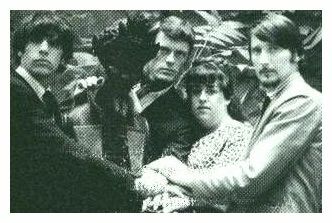 Some additional recordings from 1964 were released on 'The Magic Circle' compilation. Cass sings a rock version of Tim Rose's arrangement of Oh Suzanna with Yanovsky, Hendricks and Jerry Yester. Various fusions of pop, folk and rock were explored by the Mugwumps well in advance of California Dreaming, approximately a year before Dylan went electric, and the year The Byrds had started to flock together on the west coast to record demos. Cass performed as a solo act for awhile after the ending of The Mugwumps and was staying with Hendricks in Los Angeles. Meanwhile Zal Yanovsky and John Sebastian were forming The Lovin' Spoonful in New York with drummer Joe Butler and bassist Steve Boone. Denny Doherty went on to join The New Journeymen with John Phillips and his wife Michelle Phillips (nee Gilliam, whom he had met in the Fall of 1963 on the Hootenany U.S.A. tour). Denny kept telling the couple they needed Cass but John was certain her appearance would hold the group back commercially. Cass finally joined The Mamas & The Papas officially while they all vacationed together in the Virgin Islands in mid 1965. Upon returning to New York and hearing of the success of friends like Barry McGuire in California, the three New Journeymen decided to relocate to Los Angeles while Cass who was there already got busy making arrangements for the new group to sing for whoever would hear them. Renamed as The Magic Circle they were signed to a recording contract by Dunhill Records after singing for Lou Adler trying out as back up for Barry McGuire. California Dreamin' was initially recorded by McGuire with him singing lead and The Magic Circle in the background, and it was slated to be his next single. Adler however decided to re-record the lead with Denny up front, and the group was renamed yet again before long; this time by manager Bobby Roberts, perhaps having Cass' days the Big Three's Big Mama in the back of his mind. Some of Cass' stand-out performances with The Mamas & the Papas are; I Call Your Name from their first album, Words of Love from the second (a song John wrote and apparently had to talk her into recording), and Midnight Voyage and Dream A Little Dream Of Me from the fourth. The latter song, attributed to 'Mama Cass' on the single rather than the group, became the hit that launched Cass' solo career having had enough of the volatile personal relationships and substance problems of the other three Mamas & Papas members. She would record many popular solo albums, including now classic songs of the time Make Your Own Kind Of Music, It's Getting Better and New World Coming, all three written by the team of Mann and Weil. Another pop gem is found in A Song That Never Comes, while Ain't Nobody Else Like You beautifully continued Cass' interest in older material. California Earthquake is equally memorable while being topical and a brilliant perfomance as well. Cass collaborated on a Blue Thumb released album with former Traffic founder Dave Mason, and also co-wrote two of the songs on that album, including the cosmic Here We Go Again. They toured and made tv appearances to promote this now classic album. Cass also appeared in the 'Pufnstuf' children's film as a witch and sang a number Different, now a highly collectible vinyl 45 and anthem for many in the gay community. She performed as a Las Vegas nightclub act at Caesar's Palace (although beset with what performers have come to call 'desert throat') and was such a major personality of the day that she worked as a guest host of The Tonight Show and also appeared on shows with Julie Andrews, Andy Williams, Mike Douglas, Johnny Cash, Red Skelton, Tom Jones, Scooby Doo and Carol Burnett. The F.B.I. even kept a file on her! In 1971 she married Baron Donald von Wiedenman having divorced from Jim Hendricks by 1969. In early 1972 a self-titled album for RCA marked a decided shift toward an older audience featuring such stand-outs as Cherries Jubliee, When It Doesn't Work Out (written by Leah Kunkel) and I'll Be There. The 'Mama' suffix had finally been dropped for good. Later in the year The Road Is No Place For A Lady was released to positive reviews and is still considered by many a high point of early '70s pop. Cass also had two of her own tv specials air between 1969 and 1973. The 1973 special 'Dont Call Me Mama' had to be delayed while she recovered from an operation to repair the knee she had injured, she had to appear with a cane for her performances at Mister Kelly's in Chicago. That show is documented on the album Don't Call Me Mama Anymore and features impressive performances on The Night Before, I Like What I Like (harkening back to a soul-gospel Cass), and the sadly ironic I'm Coming To The Best Part Of My Life. A studio single, I Think A Lot About You b/w Listen To The World was released by RCA in late 1973. Cass collapsed in early 1974 at The Tonight Show studio where she had been scheduled to host and was taken to hospital on a stetcher. She had reportedly fainted at least twice before this, in the studio in the late '60s when John Phillips had kept her doing takes overly long, and also in 1968 in Las Vegas after months of dieting. On the daytime Mike Douglas show shortly after the Tonight Show collapse Cass made light of her health problems and continued her demanding schedual of appearances and work. In mid 1974 Cass travelled to England where she completed two weeks headlining at the London Palladium and where she received a standing ovation. Shockingly just two days later Cass Elliot died of a heart attack in her room at singer/songwriter Harry Nilsson's London apartment on July 29, 1974. She had been partying non-stop by all accounts beginning after her last Paladium show. A bottle of a narcotic in liquid form is said to have been in the bedroom (the same would also be found at the site of Elvis' death, both performers seem to have turned to it as a sleep aide), but some media picked up on an untouched sandwich someplace in the vicinity and made up lurid headlines from it. Those stories would be a major thorn to Cass' family, friends and fans, and unfortunately are still circulated today. She left behind a young daughter who had helped to inspire her to achieve so much. Travel, her workload, lack of sleep, pharmacueticals and dieting have all been cited as having been harmful to Cass Elliot's health. A photo of her heart was reputedly circulated at one time to help people become more aware about the serious stress problems that come with excess weight. Cass' younger sister Leah Kunkel has followed in her footsteps; she has recorded as one third of the Coyote Sisters as well as solo (her self-titled 1978 album is well worth seeking out). You can also hear her singing back-up on James Taylor's '70s hit Handy Man as well as on some of Cass' recordings. She helped raise Cass' daughter; Owen Vanessa (born in April of 1967 and the meaning behind the third Mamas and Papas album title 'Deliver'). Cass has left behind many beautifully performed songs and a sense of her optimistic if self-effacing personality. Artists as diverse as Peter, Paul and Mary to Sean Connery have declared their admiration. She was able to be herself and encourage others to be themselves in doing so, even when it was not always easy to do so. She was an inspiration as well as a catalyst for many musicians (having had a hand in the meetings of Crosby, Stills and Nash). i really love this post! i just stumbled upon it, actually searching for some info on some family (happen's to be james hendricks) and this helped. thanks.